team and fundraising with us ! could have been my son. you do for those with mental illness, and for helping my husband and me during during the class..."
Won't you join me on May 4th at Williamland Park to raise money for mental illness. 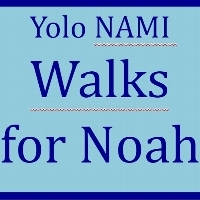 NAMI is a predominately volunteer run organization. All the money stays locally.